It may have been quietly rolling around Japan for a few years now, but Mitsubishi’s first mass marketed fully electric vehicle is now on continental American soil. John and Jean Malanaphy of Santa Monica, California; Paul Wasson of Tigard, Oregon; and Roger Saint John of Lake Tapps, Washington are apart of the first members of the public to hold the keys to a U.S.-spec 2012 i-MiEV. Hawaii received its first i last month and now the rest of the United States will soon follow as Mitsubishi prepares for even more deliveries. Starting at $29,125, the base i still gets help from a $7,500 tax credit that drops the price to $21,625. With that rebate, the i-MiEV is the most affordable fully electric and zero emissions vehicle available in North America. Using a slightly longer body than the Japanese cars, the U.S. i was specially enhanced for the American market. 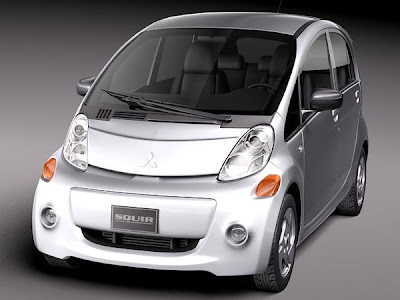 When the EPA released their 2012 list of “Fuel Economy Leaders”, it was the little Mitsubishi that came out on top. Soon to follow the first run of cars will be a wider availability to most of the U.S. by the summer of 2012.